5 Clear Reasons to Ask About Damon Clear — At Any Age! A Clear Smile. If a clear smile is important to you, Damon Clear can be a great choice. The brackets are clear with a thin metal wire that runs through them. Fast. While treatment time can vary, clinical studies demonstrate that Damon System treatment can be up to six months faster than traditional braces. Often appointments will be less frequent as well! Plus, there are no additional parts which means there is no need to worry about lost, misplaced or forgotten clear aligners. You, your teen or your younger child can get in and out of our office and back to your busy schedules. Comfortable. Even though the Damon System works so quickly, the use of gentle, low- friction force means less discomfort for you. As opposed to traditional brackets which hold wires in place in order to gradually move teeth to the correct positioning, the Damon System uses a slide mechanism to maintain archwires within the bracket. Less friction allows teeth to move more freely, quickly and comfortably. Easy to Clean. Traditional braces use elastomeric rings to hold wires in place on their brackets. Unlike those traditional systems, which attract and collect plaque, Damon Clear braces are much easier to keep clean. 100% Approved! As opposed to aligners, everyone is a candidate for the Damon System. Damon Clear works 24 hours a day, seven days a week to perfectly align ALL teeth for a fantastic smile that enhances your overall appearance. 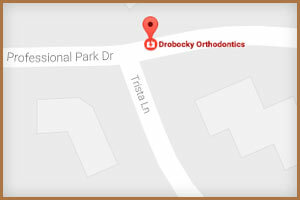 You or your child will be in good hands with Dr. Oles Drobocky. 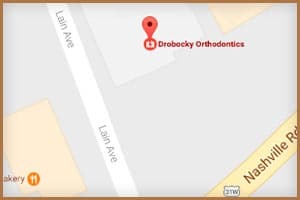 He is the most experienced orthodontist in South Central Kentucky and uses the most advanced technology available to ensure a positive experience and a beautiful smile for all of his patients. 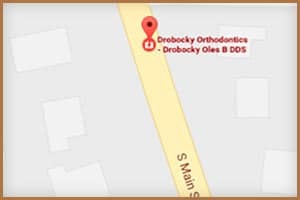 At Drobocky Orthodontics, we make orthodontic treatment affordable by offering multiple payment options including full payment discounts, no-interest payment program, family discounts, and we accept direct payment from most insurance carriers. 1 – Eberting JJ, Straja SR, Tuncay OC. Treatment time, outcome and patient satisfaction comparisons of Damon and conventional brackets. Clinical Orthodontics and Research 2001; 4(4):228-234.